Brock Lesnar’s next WWE match is set for next month’s SummerSlam event. 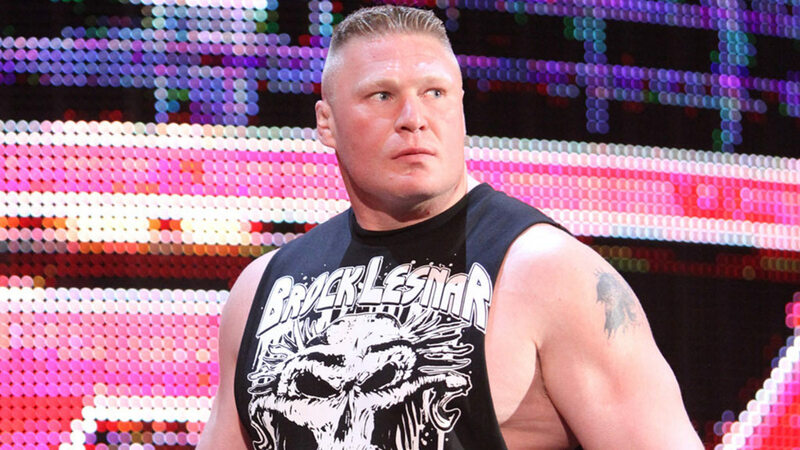 Dave Meltzer has confirmed that Lesnar will be back in the ring for WWE’s premier summer show. It isn’t known who he will face. A multi-man match was originally set for Extreme Rules that would have determined the next contender for the Universal title, but that was canceled as part of a storyline where negotiations for Lesnar's next title defense fell through. Roman Reigns and Bobby Lashley, who were the first two announced for the bout, will instead battle in a singles match. Lesnar made headlines this past weekend at UFC 226 when he responded to a challenge by new UFC heavyweight champion Daniel Cormier. The two got into a brief shoving match before being seperated. It was later revealed that Lesnar had returned to USADA testing and would be able to fight starting in January. Despite the high profile altercation, there was no mention of Lesnar in this week’s episode of Monday Night Raw. In the latest edition of the Wrestling Observer Newsletter, it was said that this was a Vince McMahon call as they want to focus on stars that will be at this Sunday’s Extreme Rules event. WWE confirms Brock Lesnar for SummerSlam, calls UFC fight a "one off"